Vacation has come to an end! 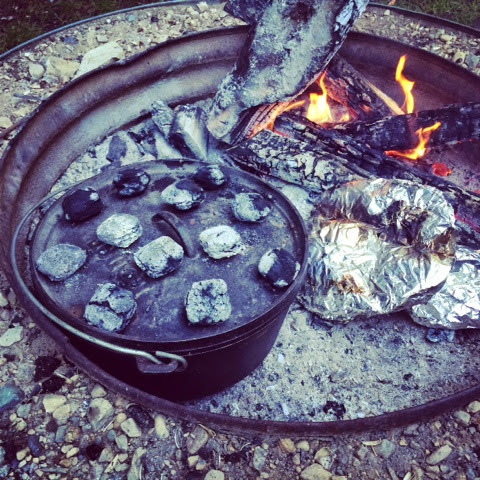 When camping, cooking in the Dutch Oven is a must, at least for this crew. I made some of our favorites, and managed to try out a new one. 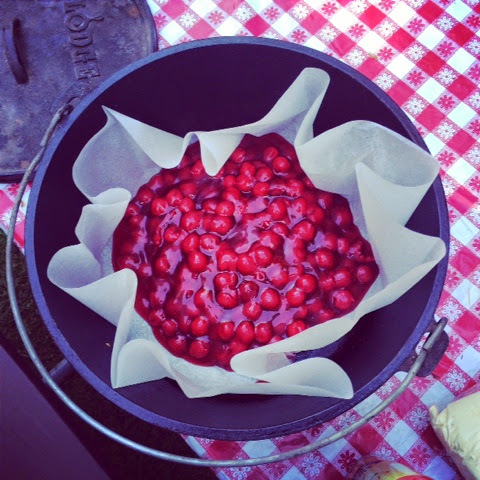 I use liners when cooking with the Dutch Oven, they are worth the cost to me, as they make clean up a breeze. Cover with Cake Mix . Cut butter into thin slices and place over the top of cake mix. Cover Dutch Oven and place on 6-8 hot coals. Place 14-16 Coals on top. Bake for Appx. 45 minutes or until done. We rotate lid and oven every 15 minutes (opposite direction) for more even cooking. 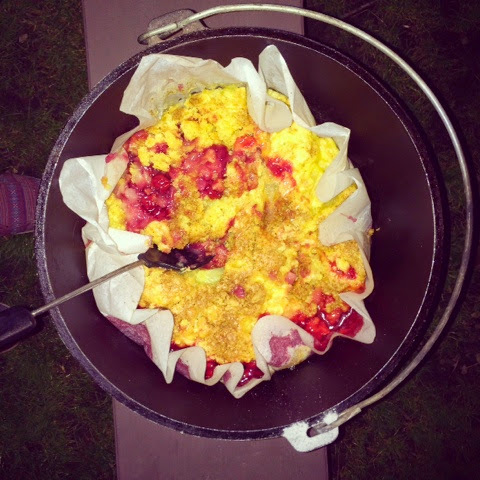 This is a simple dessert, and when camping, I like simple! You can use one can cherries and pineapple if you like more cake, and less fruit. My girls like the fruitier version. Homemade Cherry Pie filling would make it taste even better! I have seen demonstrations on this type of cooking. I hope to try someday. Pineapple and cherry - YUM! I am going to be doing a class on Dutch Oven Cooking. Yum! We have a Dutch Oven, but haven't used it in a while. I should try this. I am going to make a blackberry version with white cake mix this weekend when the family is here for the 4th! Yummy! 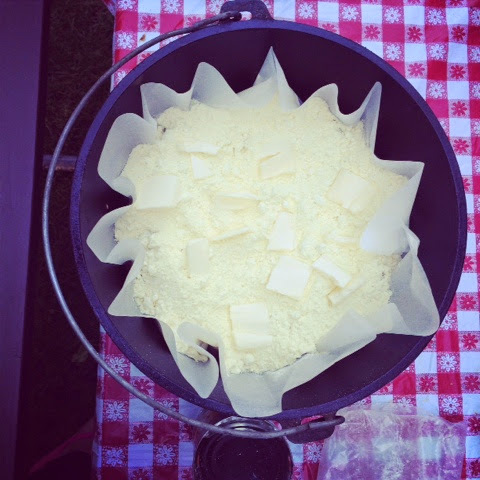 My husband got me a dutch oven for my birthday this year, so I really appreciate your tip about the liner- thank you! I have never heard of liners for a Dutch oven. Where can one get them? Can one make this in a regular oven also? They sell them at Walmart and places like Gander Mountain. This looks great! I'm pinning so I remember when we finally have time to go camping.